‘Air Conditioning’, these two words describe the fabulous creation done by human beings. Who would have thought in the generation of our forefathers that beating the scorching heat of summer would be so easy! Not just that, managing this complicated equipment is quite simple with efficient air conditioning repairs and service. Though your day and night, are incomplete without aircon, we bet you aren’t aware of its journey and progress. We can also bet that after knowing these mind-blowing facts about aircon, you would look it in an absolutely new light! A Floridian doctor named John Gorrie created a machine in 1842, which blew cool air to his patients. He was granted a patent to develop a similar machine for homes and offices, but he left for heavenly abode before doing it. He is considered as the ‘Father of Air Conditioning and refrigeration’. The first ever air conditioner was built by Wills Carrier in the year 1902 in the publishing company he worked for. The paper used to expand and contract a lot, and the ink used to dry slowly and smudge. To solve these issues, he built a machine to control humidity. He is recognized as the ‘Inventor of Air Conditioner’. Movie theatres were one of the first businesses and public places to install aircon. They did so to attract customers and achieved huge success. Thereby, we got the term ‘Summer Blockbuster’. The first residence to be fully air-conditioned was built in Minneapolis in the year 1913. It belonged to Charles Gates, who sadly died in 1913, while the air conditioning installation work got finished in 1914. The first car with the optional air conditioner system was manufactured by the Packard Motor Car Company in 1939; however, the idea wasn’t received very well due to high cost. Certain medicines require the cool and less-humid environment to be studied and developed, which is possible only with the help of an air conditioner. Thus, aircon is truly beneficial. Aircon not just blows cold air but also absorbs humidity from the room, thus increasing comfort level throughout the year. Many aircon models manufactured today have built-in filters to purify the air, which act as a boon for the people who suffer from allergies. Hope, you enjoyed reading this! 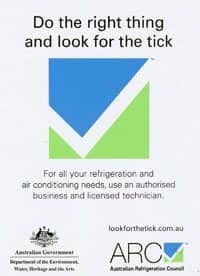 If you wish to have more information on latest aircon models which, along with filtering air have many other useful features as well, call us and fix an appointment. Our team of trained and experienced technicians would visit your place and give you the best solutions for air conditioning installation and replacement. 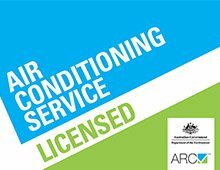 We also conduct air conditioning repairs across Northern Beaches.